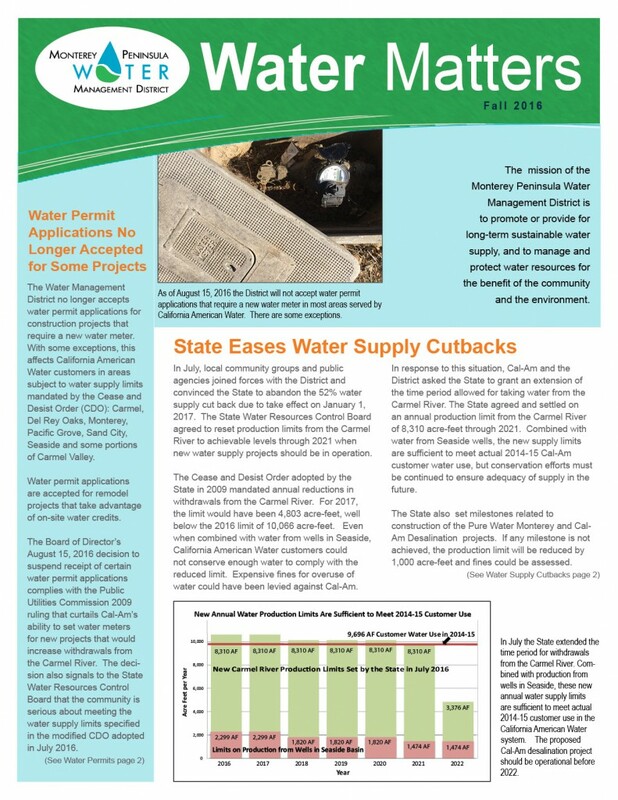 In the Fall 2016 issue, we tell you why the Water Management District no longer accepts applications for projects that require a new water meter. There are some exceptions. 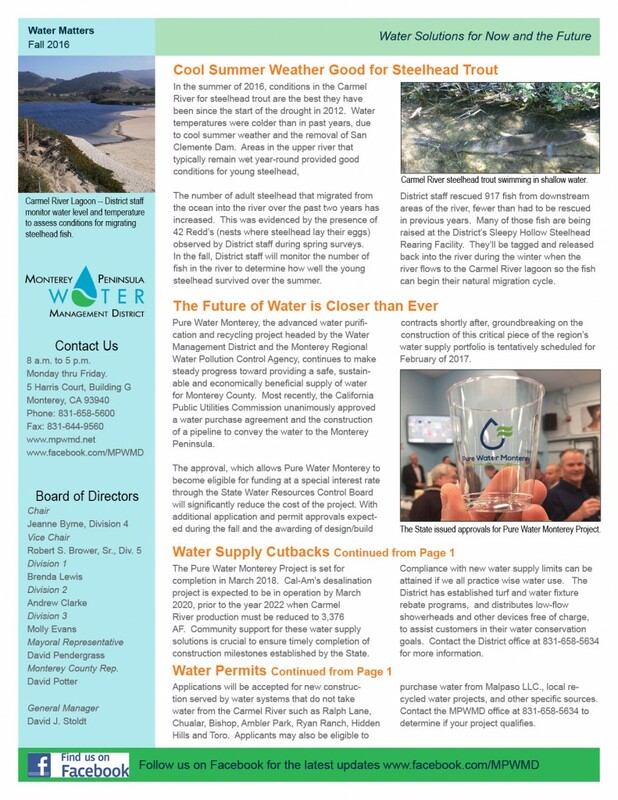 We’ll also explain that recently the Water Management District and other local community groups joined forces to convince the State to delay the implementation of a 52% water supply cutback.